With the Samsung Galaxy Alpha, the Korean company introduced a new design, which looks way better than the plastic looks Samsung has in its flagship devices. 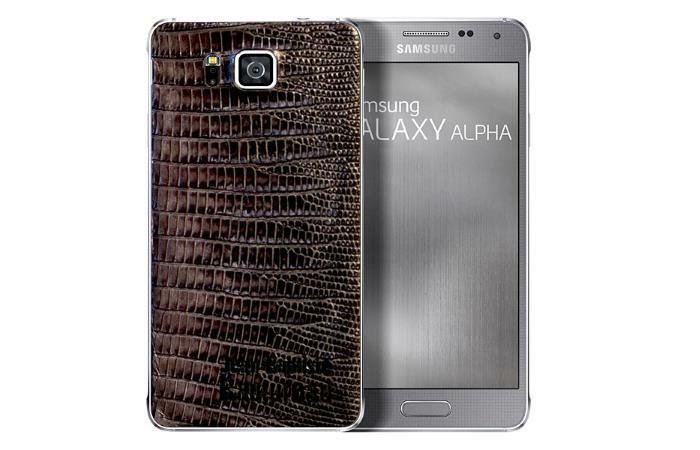 If that doesn’t appeal to you, Samsung has introduced a limited edition Samsung Galaxy Alpha with leather back options. However, there’s a catch here, the devices are manufactured in collaboration between Samsung and Free Lance and JB Rautureau, and they are exclusively available in France only. It gets even tougher, there are only 100 units of each category available so it’s going to be a little tough to get hold of a unit, but they do look a little different. There’s nothing different apart from the looks, there’s a 4.7-inch Super AMOLED display with a 1280 by 720 pixels resolution, an octa-core Exynos processor, 2GB of RAM and 32GB of internal storage, 12MP camera for photos and videos, a 2MP front-facing camera, a 1,860 mAh battery and runs Android 4.4.4 Kitkat. There’s no word if it will make its way to any other country or not, but for now it’s just France. As far as the pricing goes, it costs €649.